I love Raita. 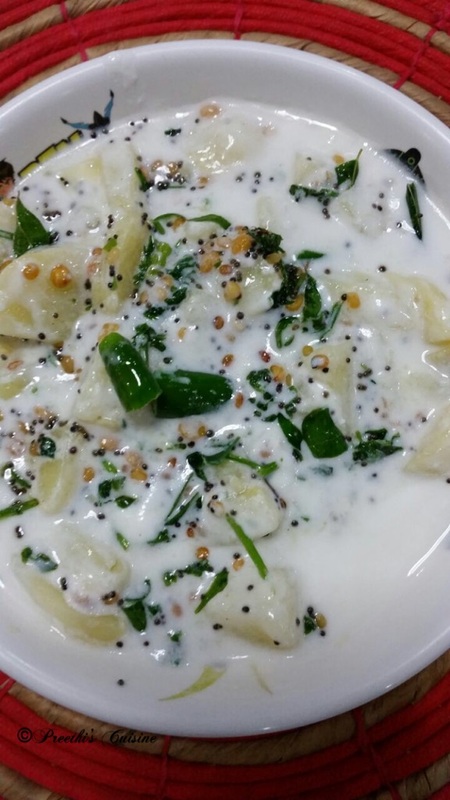 I make different types of Raita . 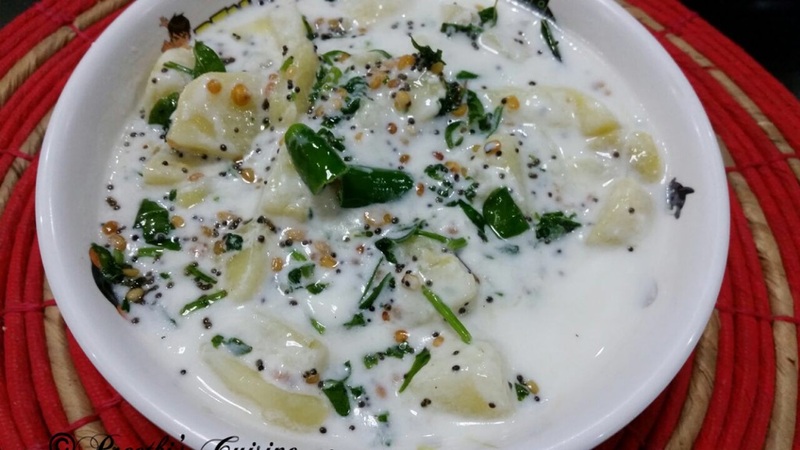 I can have raita anytime to satisfy my hunger pangs in the evening. They are filling,easy to digest and light on your hips too. 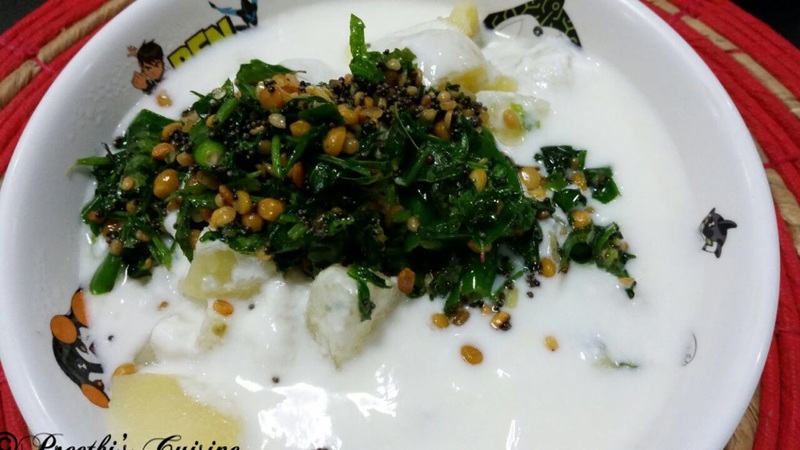 I make Spinach Potato Raita and that is another way to incorporate greens into our diet. This is cooling and good in Summers to beat the heat. Cut the boiled potatoes .Add salt and keep.it aside.Heat 2 tsp oil.Add channa dal,urad dal .Once they turn slightly brown add mustard seeds.Add green chilli,spinach,corriander and curry leaves.Saute for a minute.Switch off the flame. Add yougurt to the boiled potatoes.Garnish with tadka .Mix and serve. I’m just learning all the ways to use raita – and this sounds delicious! Thank you Anne. Happy to see you liking Indian food. Thank you Madiha. Glad you liked it. Thank you Heather.Glad you liked it.